Mahle is banking on technology in conventional streams, and in non-conventional streams like electromobility, to keep growing. Specialising in the development and manufacture of automotive components that find use in powertrains, HVAC, filtration and thermal management, MAHLE is banking on technology in conventional streams, and in non-traditional streams like electromobility. 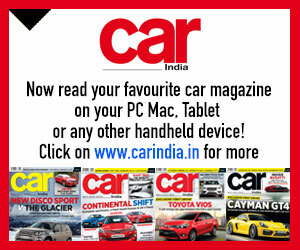 It is seeking growth in view of the rising demand for electromobility and a transition to BSVI emission norms by 2020. Catering to clients like Tata Motors and Mahindra & Mahindra among others, MAHLE operates through entities like MAHLE Behr India, MAHLE Filter Systems (India), MAHLE Engine Components India, MAHLE Letrika Roots India, MAHLE Holding (India), MAHLE Engineering Services India, and Behr-Hella Thermocontrol India. 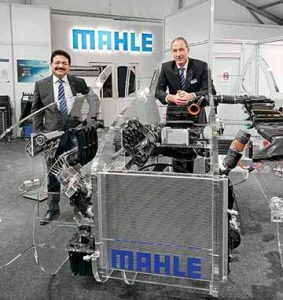 Claimed to be the second largest contributor after China in the Asia-Pacific region, which achieved the greatest increase along with South American region globally at 8.6 per cent and 18.1 per cent respectively in 2017, MAHLE, in India, is keen to grow faster. Clocking good organic growth of 6.4 per cent globally in 2017, the Group saw its net income rise to Euro 102 million in comparison to Euro 63 million the previous year. 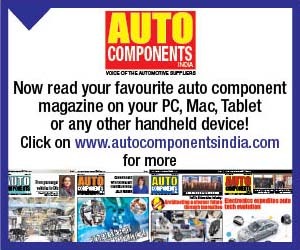 – Automotive Sales and Application Engineering, MAHLE GmbH, the new products also reflect on how global technology is being leveraged to address local requirement. Spending around Euro 750 million for R&D in 2017, which amounted to 5.9 per cent of the income, MAHLE, in India, is keen to work closely with its clients to help them meet complex requirements. In-line with the Group’s global strategy to further expand innovative strength and rank among the world’s top three suppliers in the business segments operated, MAHLE, in India, is aligning its business areas to address the requirements of the future. The deadline for migration to BSVI emission norms less than two years away, MAHLE is looking at reducing friction generation, which would have a direct impact on the performance of internal combustion engines. MAHLE has also developed a power cell unit (PCU) that consists of piston rings and piston pin. Stating that there is a need to listen to customers, and to understand their exact requirements, Franz expressed that the move to BSVI in India is faster than in Europe. “Europe only recently completed its move to BSVI. To meet the pace, and the requirements, considering the need for India specific solutions, the need is to take into account different levels of dust load on filtration, thermal parts and how ambient conditions could affect the engine parts,” he said. Since components have lower tolerances to contamination, and irrespective of whether is it from fuel, oil, water or air, Franz mentioned that there is a need to validate the products for operation in Indian conditions. “We need to make sure that all these components are also fuel consumption optimized. Exhaust gas after-treatment leads to efficiency losses. 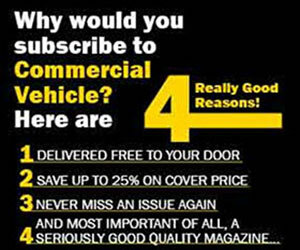 It is therefore necessary to offset higher fuel consumption with better efficiency. This could be done at the front end of the engine, and in the combustion process,” explained Franz. 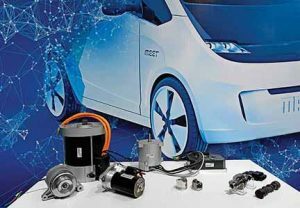 Increasing its presence in vehicle electronics to enter electromobility, MAHLE acquired a Spanish company, Nagares SA, which specialises in electronics, in mid-2017. It was integrated into the Group’s mechatronics division, and is entrusted with the development of control units and power electronics for electric auxiliary components and thermal management systems. Nagares SA also develops power converters for e-mobility. With Nagares SA by its side, MAHLE is looking at offering integrated powertrain solutions for hybrid and electric vehicles apart from battery charging solutions. Claim company sources that the core task of the Spanish entity is to develop and produce electric motors as well as electric drive and mechatronics systems. 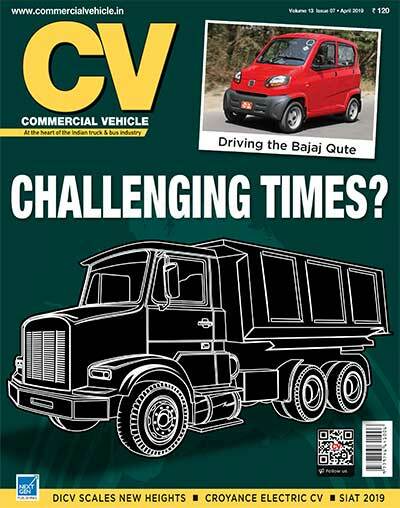 They mention that these find use in passenger vehicles, commercial vehicles, and off-highway equipment. 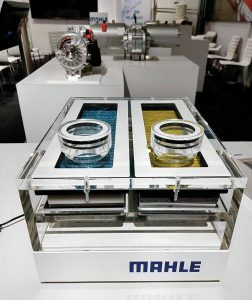 Showcasing control electronics for high-voltage heaters that ensure safe and highly efficient heating of the interior and batteries of electric vehicles at Auto Expo 2018, MAHLE, according to Franz, is looking at India as an important (growth) market. Starting operations in India with the manufacture of piston rings, a major chunk of the current business of MAHLE comes from engine components, filtration, thermal solutions and HVAC. Having a good presence in the OEM as well as the aftermarket, the manufacturing facilities of MAHLE are spread across the Indian sub-continent. 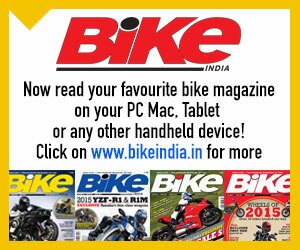 They include Chennai, Chakan, Gurgaon, Ahmedabad, Parwanoo, Pithampur and Greater Noida. Contributing an estimated three per cent of the global sales of MAHLE according to Franz, the Indian operations are looking at enhancing their capabilities to meet the requirements of OEMs, and to serve the aftermarket. MAHLE is also enhancing the capabilities of its international tech centre at Pune. The centre currently employees 400 engineers. Planning to increase the workforce by several hundreds over the next few years, the tier-one supplier is keen to ensure that it does not need to take help of the other tech centres at Japan or Germany. “As of current, MAHLE has over 4000 employees in India, and has clocked revenues of Rs.2100 crores in FY17,” Franz signed off.